Imagine a setting so extraordinary that it leaves you refreshed and invigorated. The breathtaking panorama from this custom masterpiece stretches from one of the most coveted beaches on the Sea of Cortez to the white sand coastline and city lights of San Jose del Cabo. At the heart of the luxury, double guard gated community of La Montana in Villas del Mar, Palmilla, this home offers a hypnotic fusion of classic Mexican style and sleek contemporary elegance. This one level beauty offers vistas from every room and a large indoor and outdoor living area surrounding the infinity pool. Relax. Gather with friends and family. Star gaze. Whale watch. Enjoy a plethora of amenities and services in the privacy of your hilltop sanctuary. All of the fine craftsmanship and architectural details you expect from a home at the peak of perfection. * please contact me for more information on this amazing oceanview home within the gates of the prestigious community of Villas Del Mar. 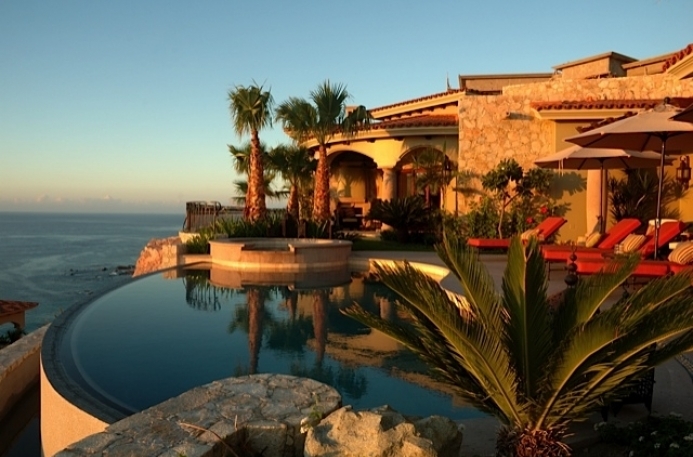 Los Cabos Mexico is the place to go in 2015!